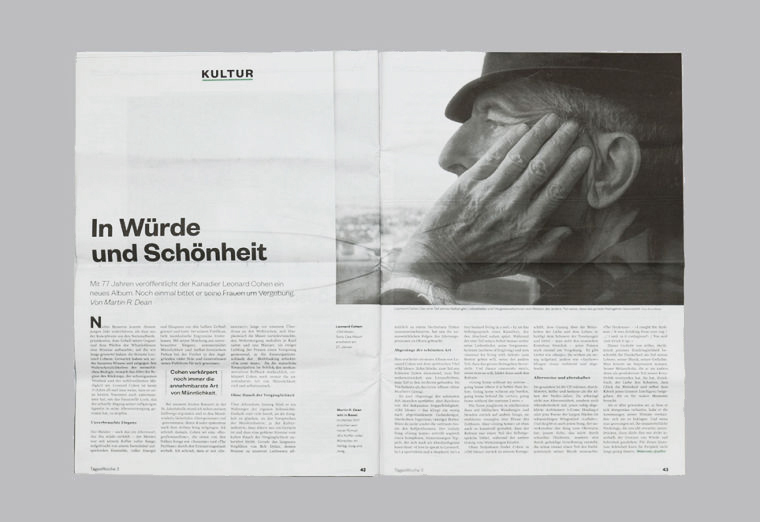 The Logotype is set in „Founders Grotesk“, also used in the newspaper for headlines and captions. 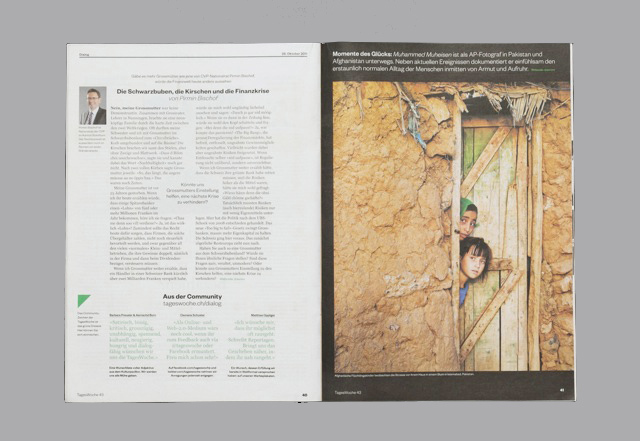 The green underline shows the community aspect: Every member of the community is always underlined – both on webpage and in the newspaper. 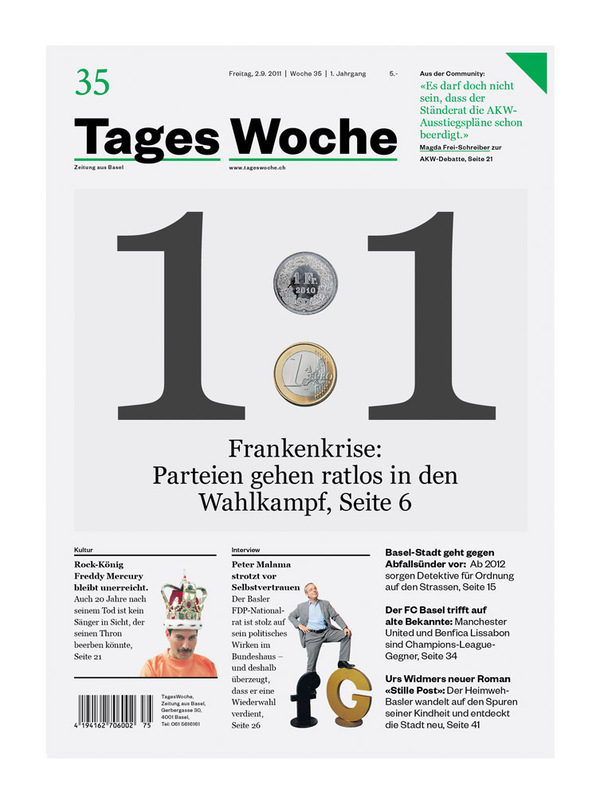 A significant symbol of the TagesWoche corporate image is the green triangle. The triangle symbolises the act of interfering or „anecken“. The triangle becomes the most important tool: the speech bubble of the community. 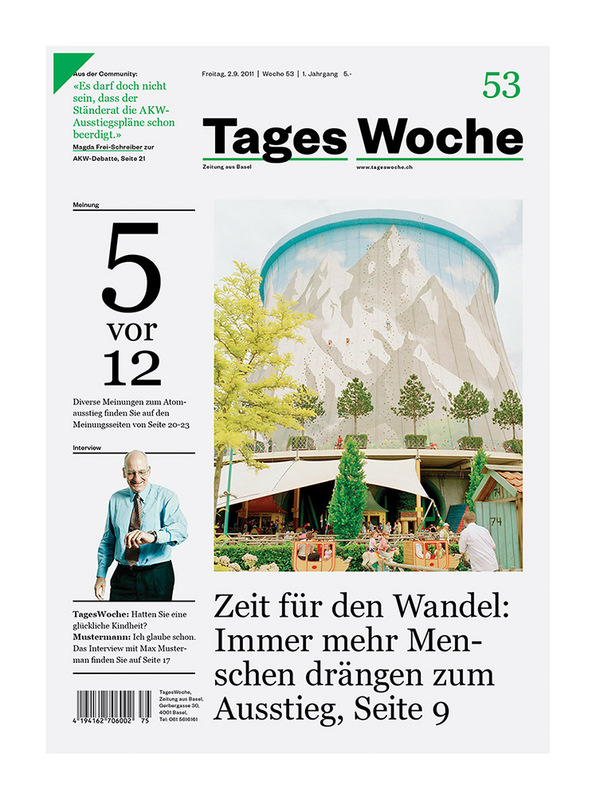 A interesting mission with a quite social and poltical dimension: TagesWoche is a new hybrid online and print newspaper published in Basel since October 2011. 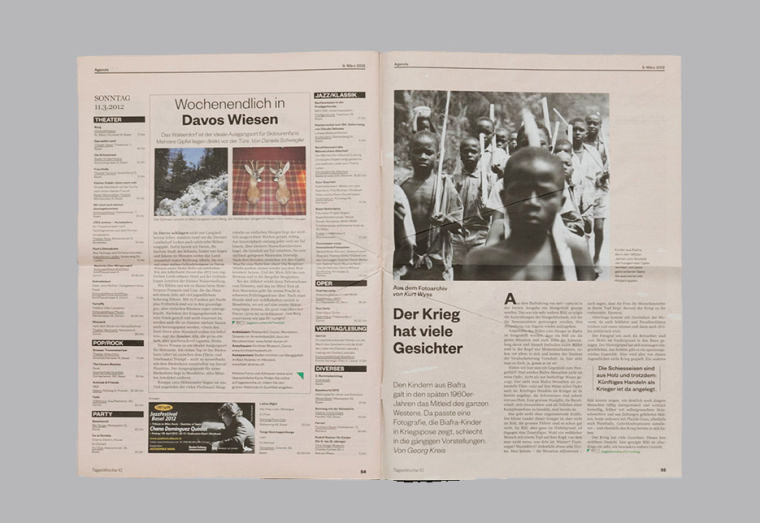 The project is a reaction to the events surrounding the traditional „Basler Zeitung“ and the missing broad range of opinions in the city: After the Basler Zeitung was sold and moved its news coverage in a conservative, almost right wing direction, the initiative „Rettet Basel“ (Save Basel) and later on „Stiftung für Medienvielfalt“ (Foundation for Plurality in Media) was founded. 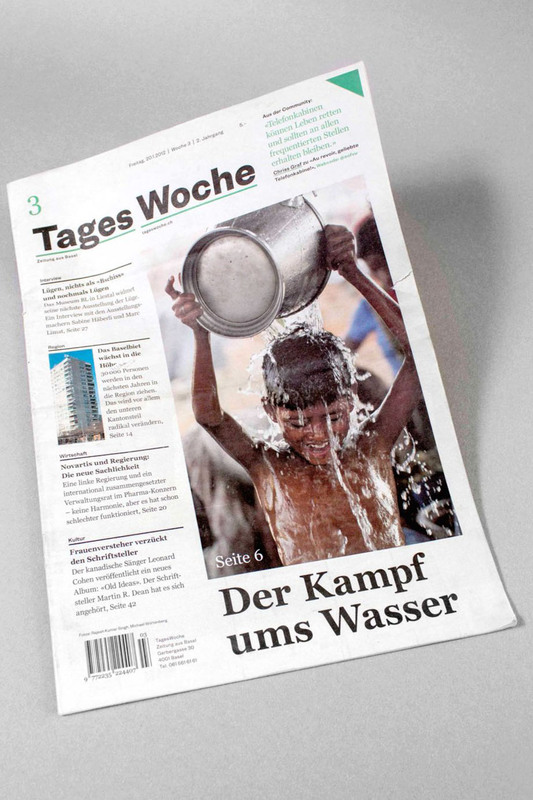 Out of this engagement a group of people, mainly journalists, started up their own newspaper: TagesWoche. Cover layout from the development stag. 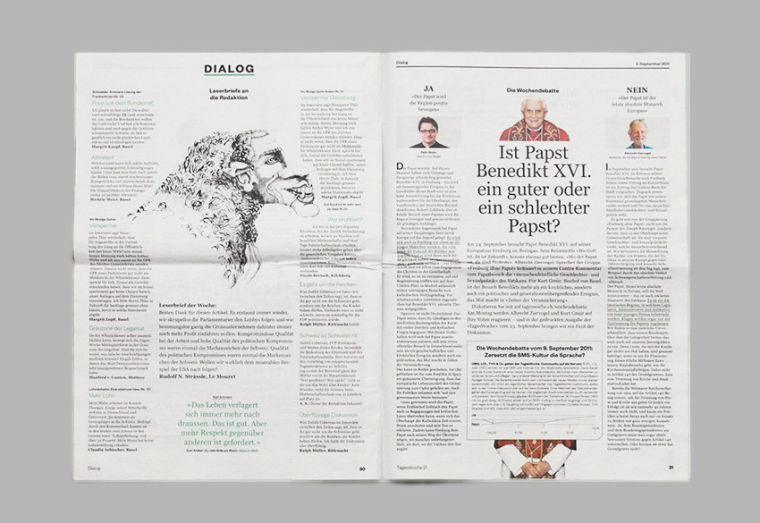 The cover is quite clean and simple like the webpage and shares the same ideas: prominent featuring of the community quote, bigger cover story, two or three articles with a mini lead + a mini news/article ticker. As the corporate image is developed on the idea of a modular construction set there are many possibilities for playing with the structure of the cover. 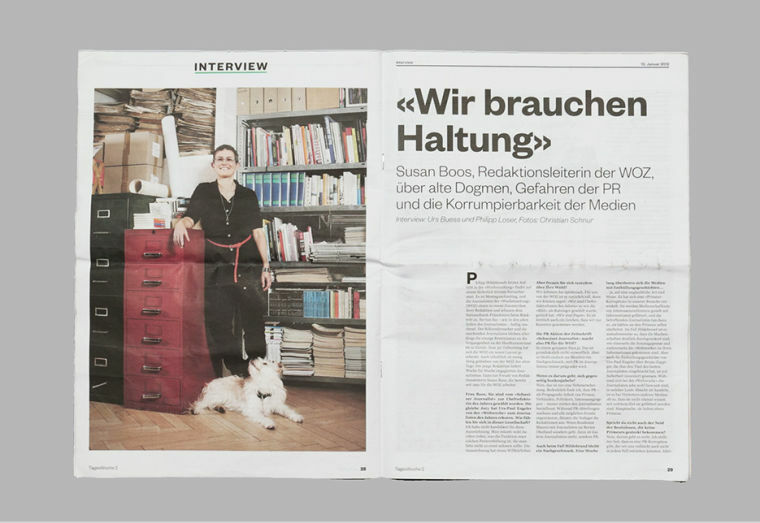 A person from Basel is introduced on the left hand page. 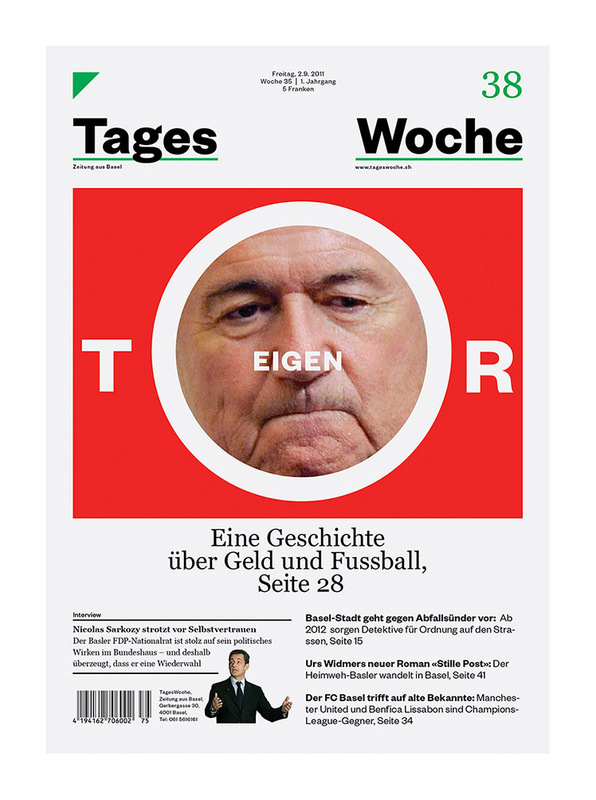 Super-reduced TagesWoche is set with only 2 typefaces. 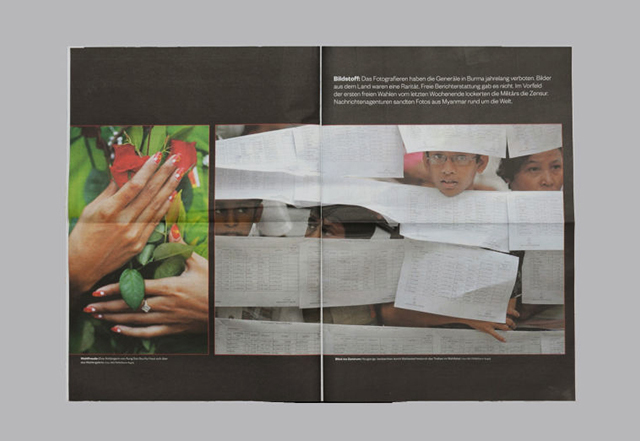 Founders Grotesk gives the paper its corporate look and supplies a modern touch with little „homemade“ details. Supported by well-known Georgia, which gives the link to the online issue and speaks in big letters the idea of web 2.0. Both fonts act quite well together as you can see in this detailled shot of the content page.